Lt. Col. Lawrence F. McDaris talks about his service in Vietnam in downtown Cleveland, Tenn.
Name: Lawrence F. McDaris Jr.
CLEVELAND, Tenn. — Chances are if you knew retired Lt. Col. U.S. Army Larry McDaris Jr., at some point he had your back. It's how he spent his life — military and private — answering a love for the military and public service. The Bradley County, Tennessee, native admired his dad — Lawrence "Scrubby" McDaris, a firefighter in Cleveland when the engine was drawn by horses — for his dedication to public service and his community, said McDaris, 79. "I guess my love for military, if that's the correct terminology, started when I was growing up here in Cleveland and my favorite game was 'Army,'" he said. 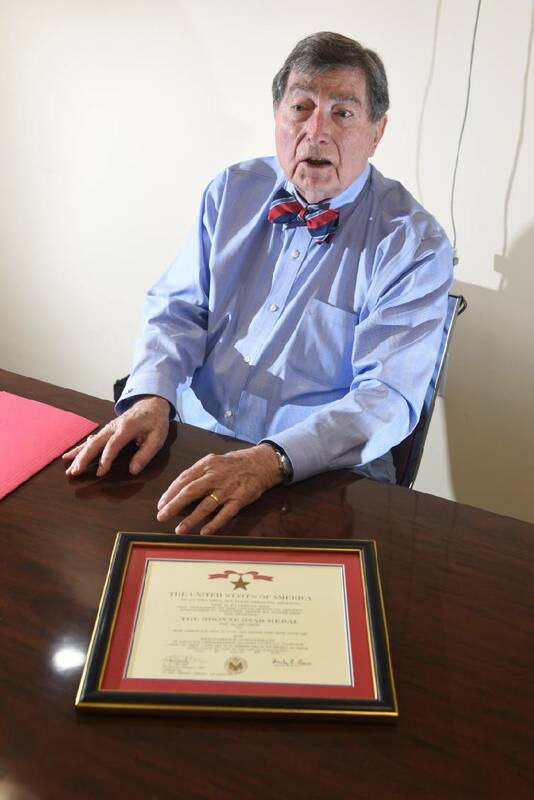 McDaris spent 21 and a half years in the U.S. Army, 1961 to 1982, and retired Oct. 26 as Bradley County Veterans Services director, bringing full circle a lifetime of service to his fellow Americans. During his military career, McDaris earned two Bronze Star Medals, three Meritorious Service Medals, two Air Medals, two Army Commendation Medals, the National Defense Service Medal, Vietnam Service Medal with three Bronze Service Stars, Korean Defense Service Medal, Army Service Ribbon, Army Overseas Service Ribbon, and the Vietnam Campaign Medal with 60 Device and two Overseas Bars. His uniform also bears a Ranger Tab and Parachute Badge with Wings. It was a long road that started on Cleveland's Eighth Street and led him around the world. After Arnold Elementary School, McDaris decided to attend high school at Baylor School in Chattanooga when it was a fully accredited military academy. His path in adulthood began to crystallize. After graduating from Baylor, McDaris developed a love for military culture and the uniform and headed for The Citadel in South Carolina to earn a degree in business administration. Graduating in 1961, he immediately began his 21-year U.S. Army career serving tours in Korea and Vietnam and two tours in Germany before returning to the U.S.
"We provided supplies and also maintenance and repair of vehicles," he said of one of his early commands. He served first in the central highlands of Vietnam for six months, then moved to a larger forward support assignment on the Vietnam coast, he said. He earned the Bronze Stars for his service on the two support assignments and also earned his two Air Medals for flying as an observer over convoys and in other flights, he said. After he retired in 1982 from the military, he quickly found a job in Cleveland at Hardwick Stove Co., which eventually became Magic Chef. McDaris spent the next two decades — the same time he had in the military — working in human resources and training. In other words, his job was supporting coworkers, much like his Army years. 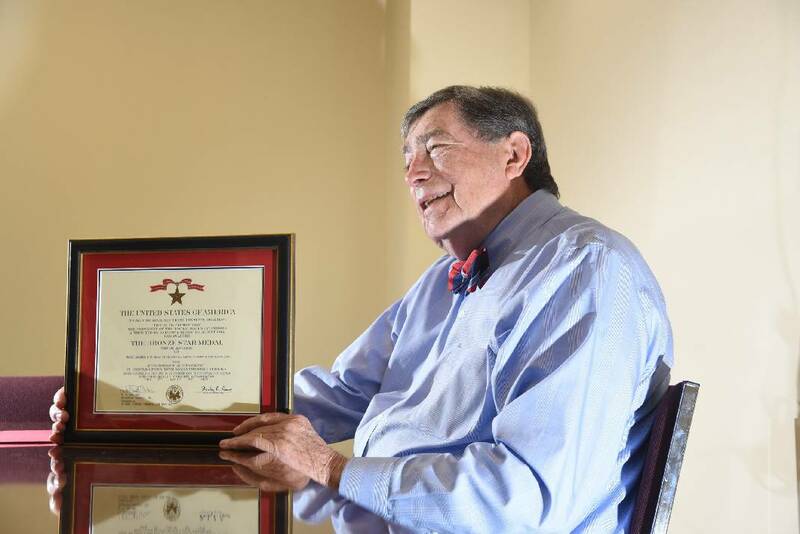 Retiring from the stove company at 65, McDaris stayed home a couple of years before he began his third career as the Bradley County Veterans Services Office director, a post he held from 2007 until last month when he officially stepped down in October to start his third retirement. "It has been probably the most rewarding job I've had. 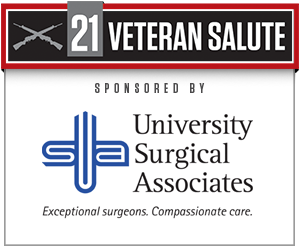 We've been able to help a lot of people," he said of his last post supporting his fellow veterans. McDaris was instrumental, along with others, in getting a Bradley County Tennessee State Veterans Home in his hometown. He helped apply for grants totaling more than $100,000 in funding for the multimillion dollar project he hopes will see a groundbreaking in 2019. Looking ahead to his third retirement, McDaris said he will assume a new job. This time in a support position for his wife and family that includes a toddling granddaughter.